Clean and dry roast sesame seeds in pan on medium flame until to brown. Once peanuts done remove all skin and mix with roasted sesame seeds. Dry roast dry coconut for 2-3 minutes. Grind sesame seeds, peanuts, jaggery, dry roasted coconut, cardamom powder all together. Remove this mixture into plate and prepares medium size ladoos with the mixture. 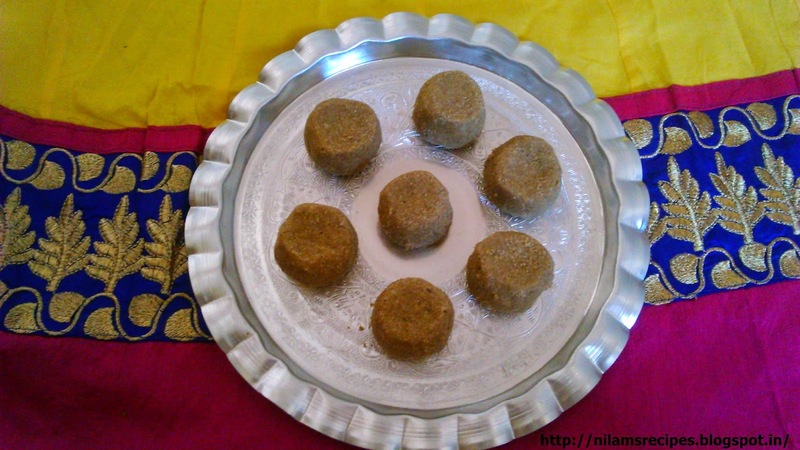 Sesame Ladoo are ready to serve. You can keep in airtight jar for further use.